Why so much for this engine? It’s simple: you are getting a newly built, ran in, and tested motor rather than an untested crate motor. 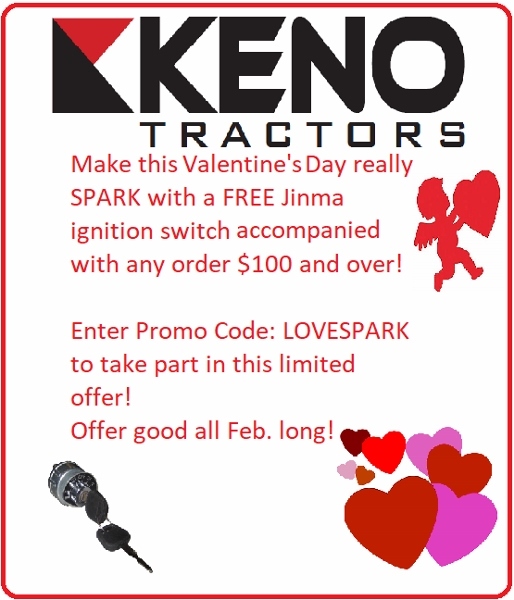 Here at Keno Tractors we take pride in providing our customers with complete motors that are built from the ground up by the best Jinma mechanic in the United States. After the build is done, the engine is ran in for a minimum of 5 hours. It is then checked, re-torqued, and a run-in report done that includes the oil pressure, water temperature, and compression readings. What you receive is a complete motor that is guaranteed to run when you install it. What you get is peace of mind. This engine was designed to work in the Jinma 200 Series tractors. Specifically, this motor was designed to work on the 254 and 284 models. Please refer to your owners manual and review all pictures before deciding to purchase this engine. There is a core charge as well as a freight charge after purchasing this engine.